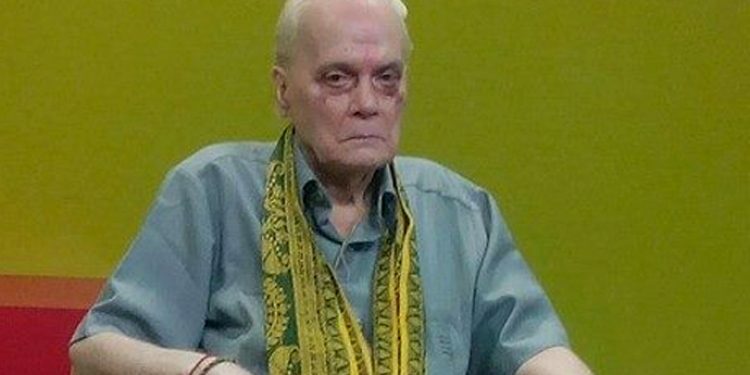 Doyen of Assam language and literature, Dr Pramod Chandra Bhattacharya passed away early Monday morning at the age of 93 years. Dr Bhattacharya breathed his last at around 4:45 am at Nemcare Hospital in Guwahati. Notably Dr Bhattacharya was undergoing treatment at the Nemcare hospital for last few days owing to old-age related ailments. A researcher of folk culture, Dr Bhattacharya had immense contribution towards the Bodo language. For his invaluable contribution, Dr Bhattachrya was awarded with the highest honour of the Bodos, the Upendranath Brahma award. Assam Chief Minister Sarbananda Sonowal, Asom Sahitya Sabha, the apex literary body of the State and several organizations condoled the demise of this towering literary figure of the State. The Chief Minister has further announced that Dr Bhattacharya will be accorded a state funeral at Navagraha where his last rites will be performed.